This legislative session, Iowa legislators are trying to turn back all the progress the state has made towards creating a restorative criminal justice system. 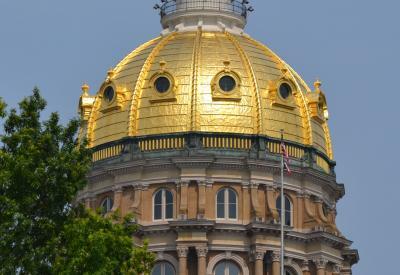 Earlier in March, the Iowa Senate Judiciary Committee passed a bill - Senate File 588 - to reinstate the death penalty and reverse the state's 54-year ban on capital punishment. Urge your legislators to vote NO on this regressive piece of legislation. The bill currently awaits consideration for a full Senate floor vote. Legislative efforts to bring back Iowa's death penalty are nothing new, but this is the first year since the 1990s that a reinstatement bill has been voted out of committee. Your voice can help stop this bill in its tracks. Now is the time for your legislators to hear why Iowans deserve better than the death penalty!